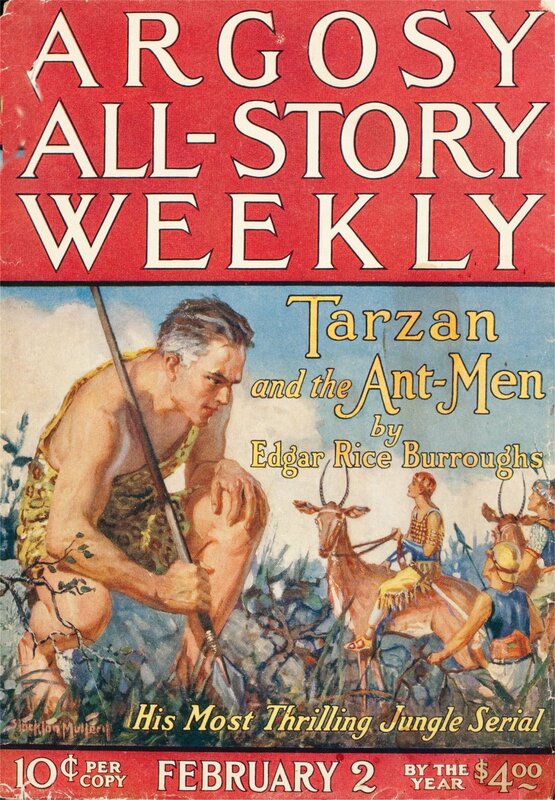 ERBzine 0497: Tarzan and the Ant Men C.H.A.S.E.R. 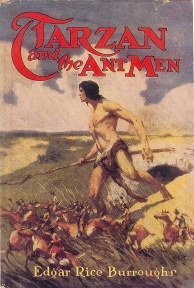 Tarzan and the Ant Men Tarzan, the king of the jungle, enters an isolated country called Minuni, inhabited by a people four times smaller than himself. The Minunians live in magnificent city-states which frequently wage war against each other. 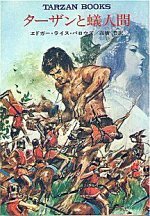 Tarzan befriends the king, Adendrohahkis, and the prince, Komodoflorensal, of one such city-state, called Trohanadalmakus, and joins them in war against the onslaught of the army of Veltopismakus, their warlike neighbours. 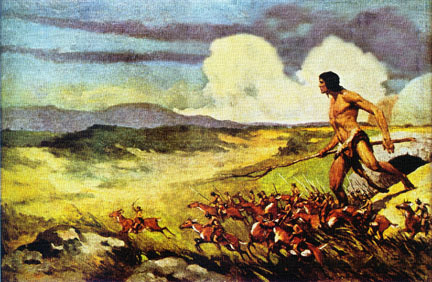 Tarzan is captured on the battle-ground and taken prisoner by the Veltopismakusians. 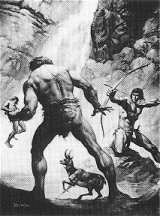 The Veltopismakusian scientist Zoanthrohago conducts an experiment reducing Tarzan to the size of a Minunian, and the ape-man is imprisoned and enslaved among other Trohanadalmakusian prisoners of war. He meets, though, Komodoflorensal in the dungeons of Veltopismakus, and together they are able to make a daring escape. 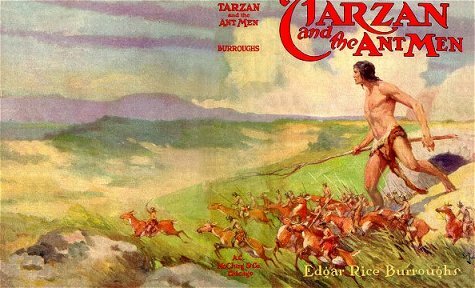 No man had ever penetrated the Great thorn Forest until Tarzan of the Apes crashed his plane behind it on his first solo flight. Within lay a beautiful country. But in it lived the Alali, strange stone-age giants whose women regarded all men as less than slaves. 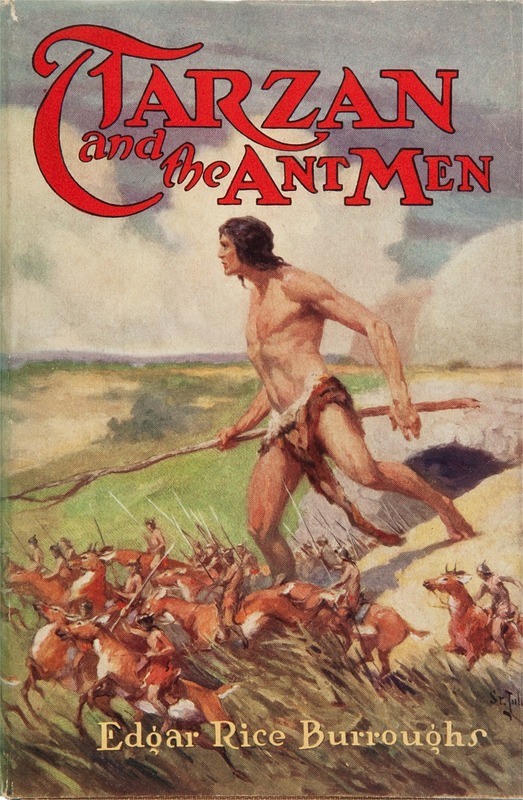 And beyond the Alali lay the country of the Ant-Men — little people only eighteen inches tall. 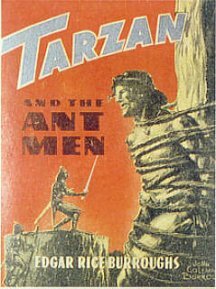 There, in Trohanadalmakus, Tarzan was an honored guest—until he was captured by the warriors of Veltopismakus in one of the ant-men's wars. 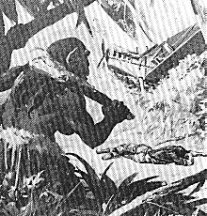 They had their plans for the ape-man. 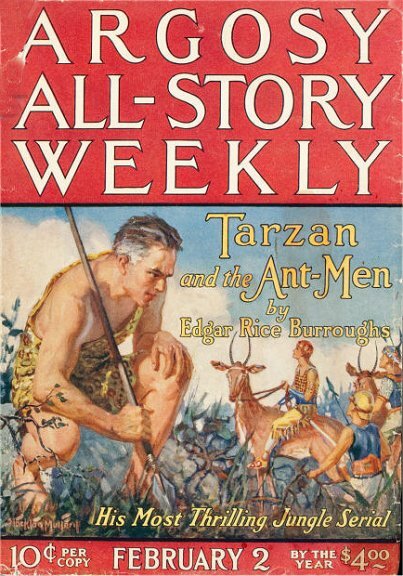 By the advanced science of the little men, Tarzan was shrunk to their size and set to work as a quarry slave. NOTE: The smaller images below are for reference. They do not link to larger images. 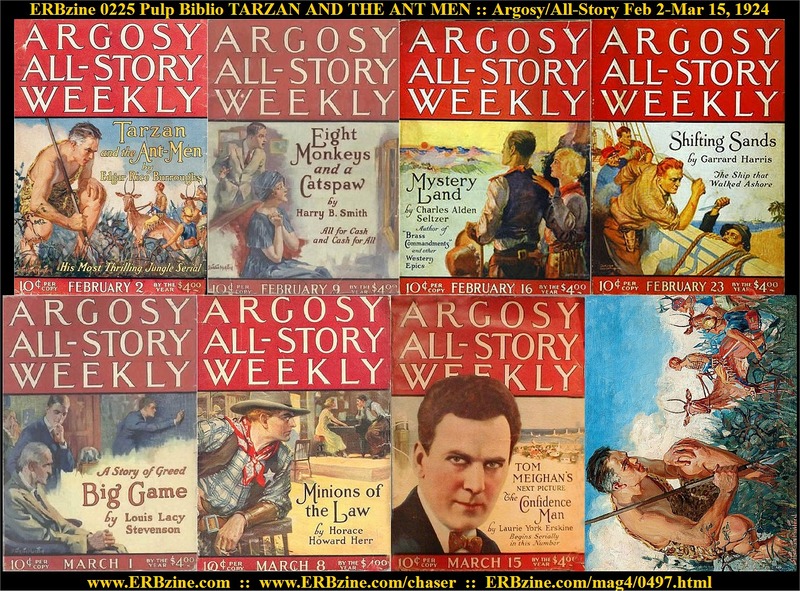 Review contributed by Doc Hermes ERB Reviews From the February and March 1924 issues of ALL STORY (where it was serialized before being published in hardcover), this is a pretty wild adventure with strong elements of satire. 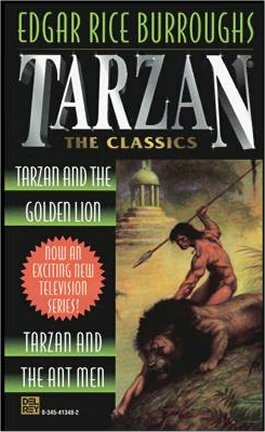 People who have only a passing knowledge of Tarzan may think the books are a simple series of fights with wild animals and African tribes, but this book in particular shows a vivid imagination with a good use of extrapolated detail that makes the improbable events more convincing. Along with the three previous books, this is the phase of Burroughs` career where I like his prose best. It`s still eloquent and expressive, but not as overly wordy as the earliest books and not the sparse, brittle tone of the rest of the series. 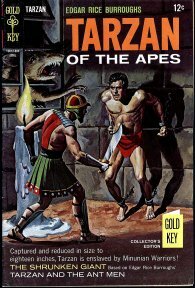 The major part of this story is fine, a classic example of pulp adventure, but the two lengthy subplots are a bit too much added weight and lessen the impact. 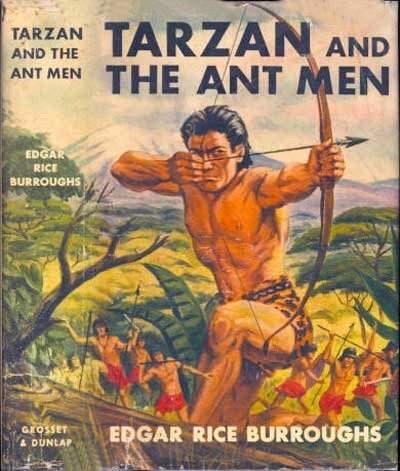 First, there`s the misadventures of Esteban Miranda, the crazy Spaniard who looks exactly like Tarzan and who comes to be believe he IS Tarzan (carrying method acting a bit too far). 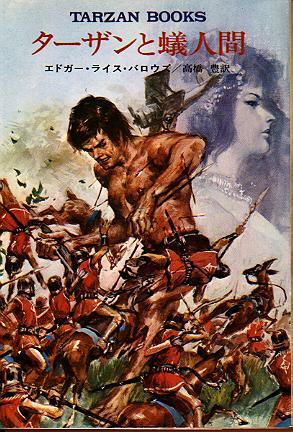 We first met Miranda in the previous book, TARZAN AND THE GOLDEN LION, and here he`s still a prisoner of a cannibal tribe which is unsure what to do with him. 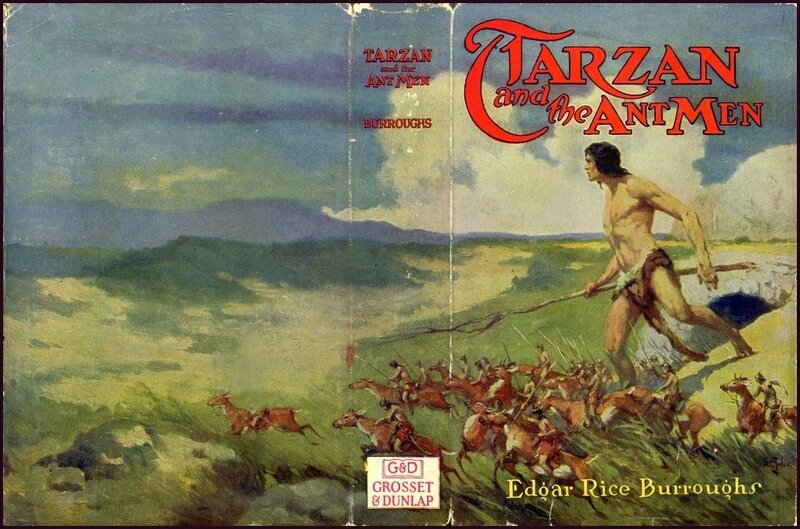 Miranda`s usefulness in this book seems to be that (by showing up amnesiac at the Greystoke plantation and leading even Korak and Jane to mistake him for the Apeman), he provides a bit of suspense at the thought that family might be fooled and Jane might, well, carry out her wifely duties. Also, when Tarzan himself turns up at the cannibal village, the natives think he`s the rather ineffectual Miranda and get quite a surprise when they try to capture him. 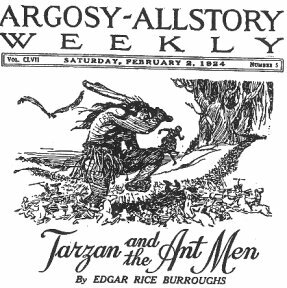 The comic aspect of this falls flat, and might better have been developed as a humorous short story, with mistaken identity and slapstick. Here it just seems like paddding. 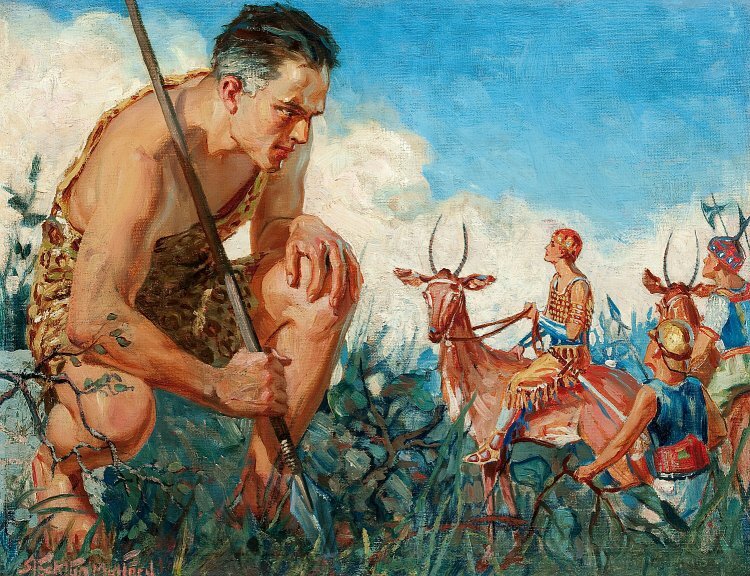 Then there`s the lengthy interludes with the Alulus, a strange society where the men are meek little wimps who hide in the forest from the hulking, muscular women. This whole concept, which could have been interesting, is handled so clumsily that it gets the book off to a false start which probably discouraged many readers from continuing. Just the idea that these people are so primitive that they don`t have a spoken language, only simple gestures, is impossible to believe in a series where the Great Apes carry on conversations with human beings. 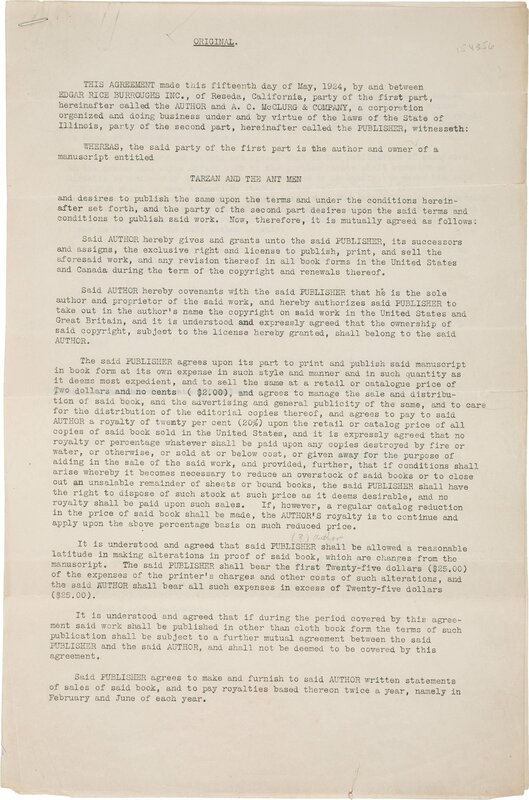 Apparently this is Burrough`s reflection on what giving women the vote will lead to, and it rings false from beginning to end. To be fair, there is a huge amount of fiction aimed for a female audience which features matriarchal societies full of kind, loving, noble near saintly women, while the men are all brutal hopeless thugs. 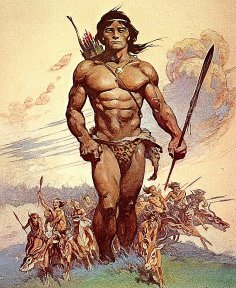 From Wonder Woman to CLAN OF THE CARE BEAR (err, CAVE BEAR) to all those 600 page fantasy paperbacks by authors like Robert Jordan, they present a viewpoint just as skewed to their audiences. So it`s not like Burroughs is unique in this. 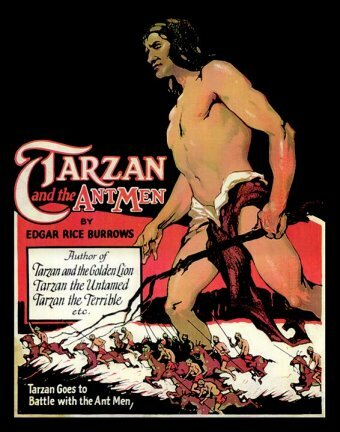 But the bulk of the story, and the best part, is the Apeman`s encounter with the Minuians, the Ant Men of the title. 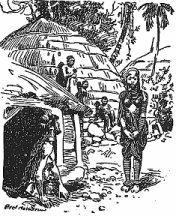 These are eighteen inch tall Causians with an elaborate warlike society, the original pygmies of myth and legend, not the tribes of short African natives now associated with the name. 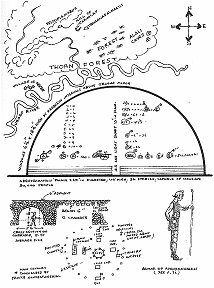 The Minunians are a terrific creation, their cities of hundred feet high stone `ant hills` are described in great detail, and the working of their class conscious society is explored. 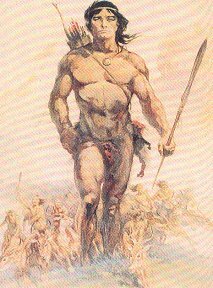 Just a few inches shorter than the smallest recorded midgets, the Minunians are not so tiny as to be completely unbelievable (as if, say, they were six inches high). And there is nothing cute or elfin about them. 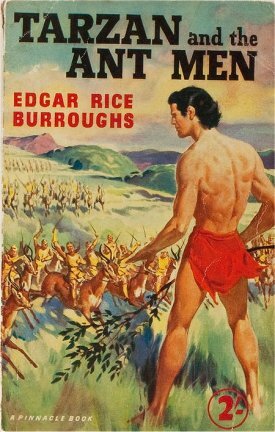 They are heroic warriors with a strong code of honor, riding small antelope into battle, and Tarzan (and the reader) takes an immediate liking to them). Any resemblance to GULLIVER`S TRAVELS is superficial beyond the basic premise of a normal man interacting with warring cities of tiny humans, Captured by Minunians of an enemy anthill in a vivid scene, Tarzan is (surprisingly enough) shrunk down to their size by scientific doubletalk and taken as a slave. 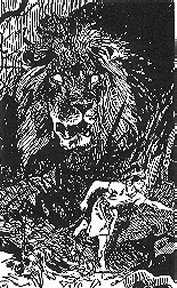 Adding more tension is the nagging knowledge that at some point he will abruptly regain his normal size.. not an appealing thought if it happens while he`s in a small stone room. 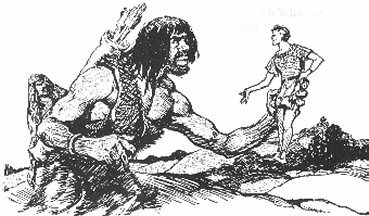 Making the best of things, Tarzan has a grand old time among the Minunians, befriending the Prince Komodoflorensal who was captured with him. 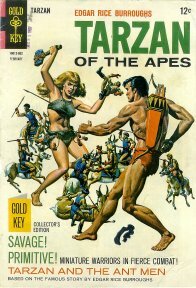 When he inevitably makes his near hopeless escape attempt, the Apeman is determined to also bring with them a slave girl who had been kind to them (anything to make it more difficult). 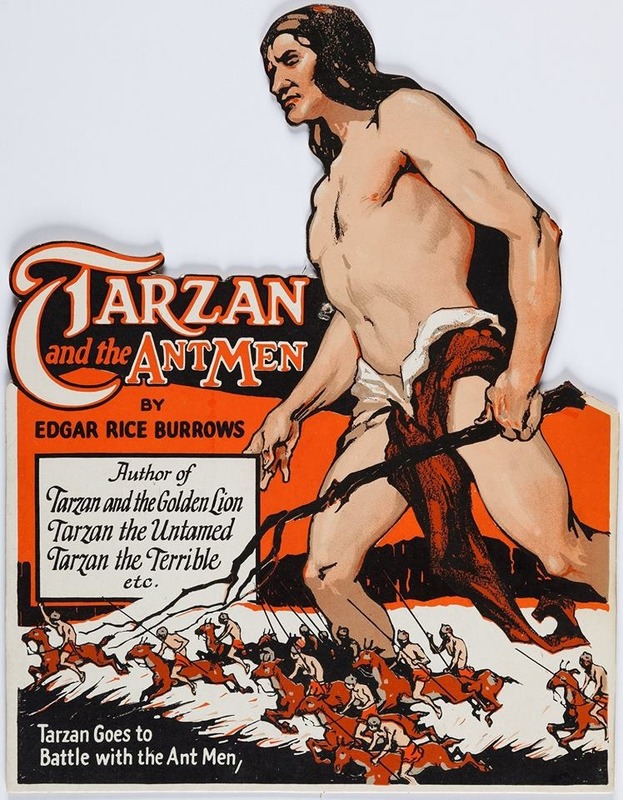 In a startling moment, Tarzan discovers that he has retained most of his normal strength and is now capable of bending thick steel bars and leaping effortlessly several times his own length. 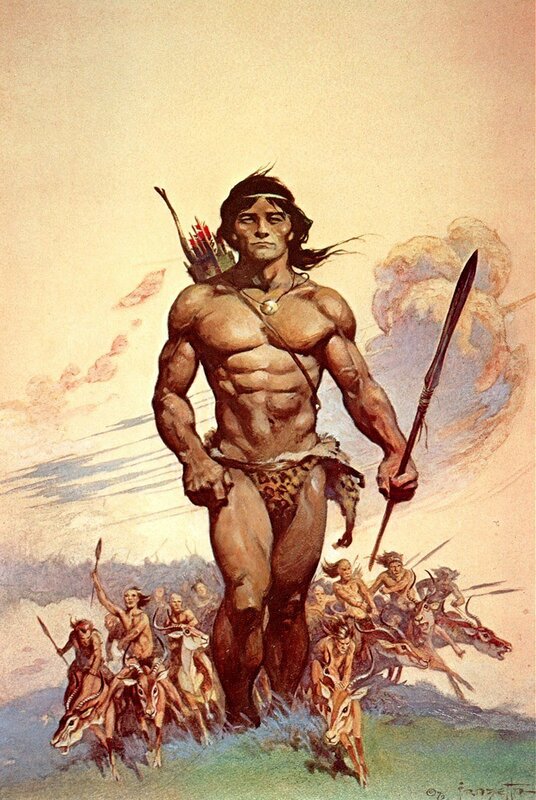 (Remind anyone of a certain Virginian on Barsoom?) Unfortunately not much is made of his new superhuman powers, and I wish Burroughs had cut back on the anti-feminist Alalus premise to instead show some spectacular scenes of Tarzan leaping over the charging army, strangling a wildcat as big proportionately as a lion, or fighting with a club as large as his body. As it is, our hero is normally so overwheming that he hardly seems any different here. But underneath the classic pulp adventure is a large dose of Burroughs` social criticism, as we find the Minunians are suffering through their own Prohibition, and that the king has been taxing wealthy people so heavily that they have to work harder than ever just to stay afloat (being rich and famous was not all Burroughs thought it would be. 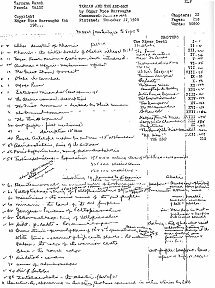 "...those who work hard and accumulate property have only their labor for their effort, since the government takes all from them in taxes.") 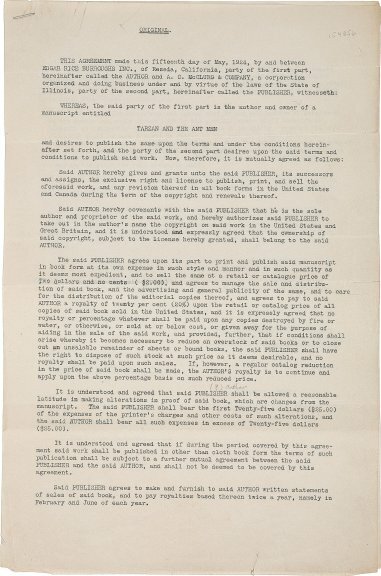 As satire goes, it`s pretty blatant but not really overbearing, and it provides an interesting counterpoint to the bitter remarks in GULLIVER`S TRAVELS.